Korean War veteran Walter Morris Thomas was born on Friday the 13th, 1930, and passed away on October 27, 2018. A proud San Francisco native, Walt leaves behind his wife Jan Barron, the love of his life for 26 years. He is predeceased by his brother Robert and his loving sister Virginia May. He was loving brother-in-law to Judi Pappas, Jim Pappas, and Bonnie Wilson; uncle to Jan Talbert, Diane (Roger) Talbert, Stephanie (Hans) Drexler, Jason (Jana) Pappas, Michael (Rachel) Pappas, Christine (Neil) Caynan; and cherished grand uncle to Joanna, Jake, Hannah, Samantha, Caleb, Allison, Chloe, Lucas, Cameron, and Sydney. Walt grew up in San Francisco’s Richmond District, and attended George Washington High School and Skyline College. 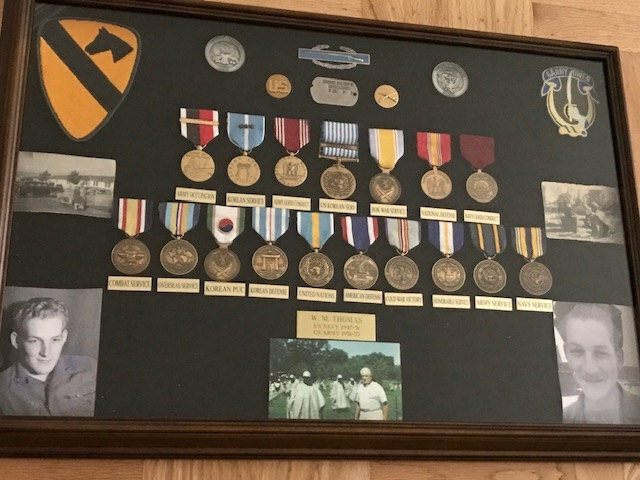 He served his country in the U.S. Navy from 1947 to 1951, and the U.S. Army from 1951 to 1953, with the 1st Cavalry Division on the front lines of the Korean War. After the war, he had a few jobs before embarking on a 34-year career with PG&E. Walt was an avid golfer and 49ers fan. He enjoyed sailing on San Francisco Bay, fishing, playing craps and cards, and solving crossword puzzles. He was also a voracious reader and loved a good Merlot. Walt was a man’s man and extremely kind to all who knew him. He loved to share his knowledge, and he had a witty sense of humor and wonderful stories. Walt and Jan loved their Friday Date Nights, travel, especially their trips to Ireland and to his roots in Scotland, and their Alaskan cruise. But Maui is where Walt’s heart was. He loved showing off his Maui tattoo, and he truly embraced the Aloha Spirit. Walt was blessed with many wonderful friendships, and his loss is profoundly felt by those he left behind. His greatest joy of all was his loving family. Following a gathering of family and friends at Duggan’s Serra Mortuary in Daly City, Walt was interred at a military funeral at Cypress Lawn Cemetery in Colma. Many of the mourners wore Hawaiian attire in Walt’s honor. 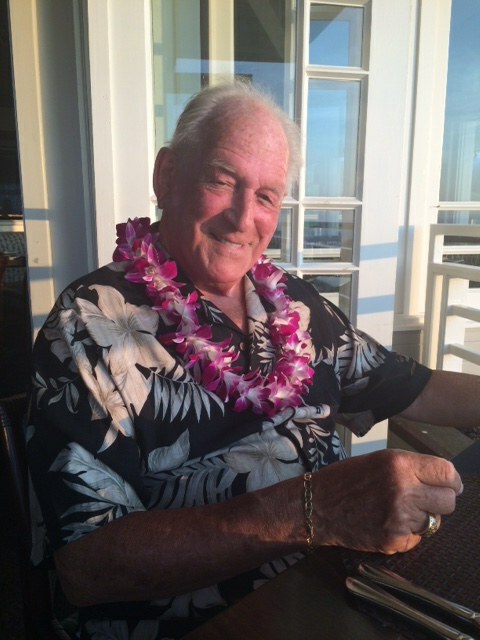 His family requested that in lieu of flowers, those who wished might make donations in Walt’s name to the Korean War Memorial Foundation, http://www.kwmf.org/donate/ Jan and the family’s thoughtfulness with this request is appreciated by all of us at KWMF.